Texas Die, a division of Tesker Manufacturing Corporation, also provides high-quality thread rolling dies and die regrinding services. Texas Die is an essential factor in the expertise, simplicity and confidence that only the Tesker team can deliver. Regardless of the machine you are using, the dies are a critical part of what determines the quality and cost-effectiveness of your product. That’s why Texas Die puts such an emphasis on manufacturing thread rolling dies for your specific needs – not just for Tesker thread rollers, but for nearly any cylindrical thread rolling machine. 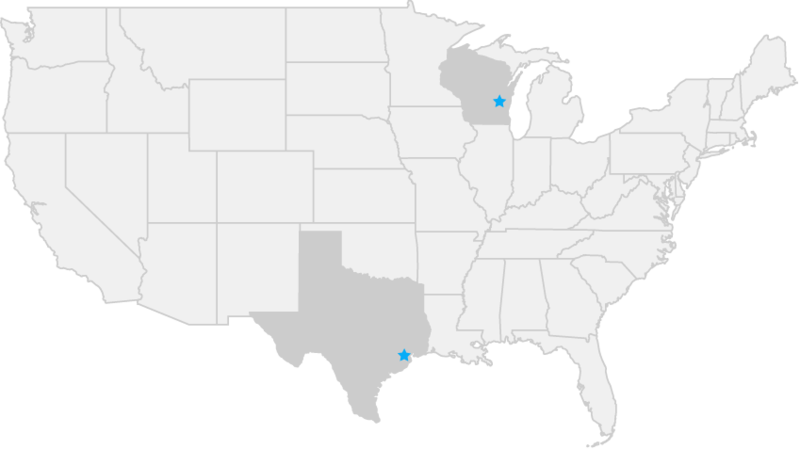 With two locations - the main facility in Saukville, Wisconsin and our Texas Die Division located in Houston, TX - to help reduce shipping costs, Tesker offers an economical way to keep your business rolling.